For a half-century, Etowah Valley Golf & Resort has provided quality play for more than a million rounds and lodging for tens of thousands for visitors. 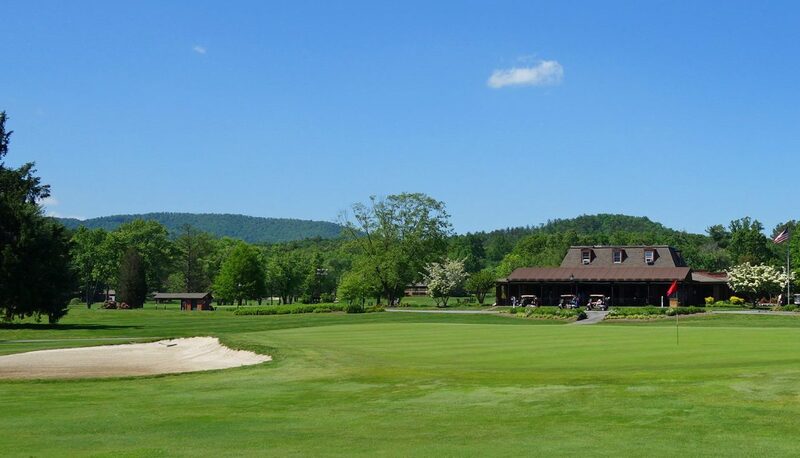 And as the 27-hole layout in Henderson County celebrates its 50th anniversary this year, there are current and future plans to ensure those numbers of golfers playing and staying continue to grow at one of Western North Carolina’s most popular places to tee it up. Converted from a brickyard, Etowah Valley opened on July 8, 1967, 18 holes built by esteemed architect Edmund Ault. The original layout has remained virtually intact, South and West nines that feature a traditional look and style in the design of courses much older. Long, straight or slightly dogleg, tree-lined par-4s and par-5s dominate the terrain once used for brick mining, land long ago stripped of tons of clay that formed the famous Etowah Brick. Most par-4s on the original 18 demand not only a solid shot off the tee but often mid-irons or more into large greens, a challenge for many players who tire of the driver-wedge game of a lot of courses. Ault added nine holes in 1988, and the North nine is quite a departure from the South and West courses. A more open look with three reachable par-5s and a pair of par-3s that play less than 150 yards, the North also features three short par-4s that offers a chance to score more easily than the original 18. At the height of its summer season, Etowah Valley was in excellent condition during a recent visit, all 27 holes inviting and ready. If one plays the West Course first, the initial tee shot is an introduction to Etowah Valley and its stout test. The first hole is a straightaway par-4 of 431 yards, and even a long, straight tee shot leaves a lengthy approach that must clear a pond short and left of the green to a long and wide putting surface accustomed to receiving long irons and even hybrids and fairway woods. The 455-yard par-5 6th hole is the best chance for birdie, where a good drive around the corner of the dogleg right can leave an iron approach to a slightly elevated green. The par-5 9th hole goes downhill and the tee ball must avoid small bodies of water left and right, setting up an uphill second shot to another wide, long green with multiple pin positions available. The signature hole is the fourth on the South side. A long pond of more than 200 yards sits down the right side of the par-4, forcing all but the longest of hitters to lay up on a narrow fairway left of the water, leaving a long approach to a flat green protected by sand left and right. The birdie chances on the North side begin on the short par-3 1st hole and ends with a classic risk/reward par-5 9th hole, where the second shot must be flown over a pond that protects a long, left-to-right green that is very narrow from front to back over the water. Rick Merrick, the head pro at the course, has been at Etowah for 26 years. He said many first-time visitors are surprised at the variety of the holes. And the non-golf time at Etowah Valley offers plenty of choices. There are 65 lodge rooms and three restaurants on site, with a heated swimming pool and tennis. A 200-seat banquet facility and 200-seat outdoor pavilion are available for parties and post-round tournament gatherings, and a short drive away is the quaint small-town atmosphere of Hendersonville, the county seat renowned for its dining and pub offerings. Frank Todd and his wife Betty Anne built Etowah Valley from the vision of Betty Anne’s father Bruce Drysdale, who owned the brickyard business. 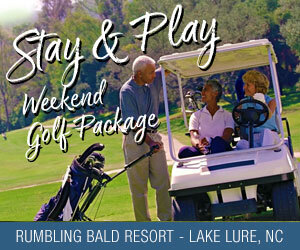 The Todd family owned and operated the golf course until 2013 and established a solid reputation as a top stay-and-play resort over the decades. The current ownership group of 14 partners took over in 2014 and is headed by local businessmen Dewey Andrew, Darrell Redmond and Tim Rice, who serves as general manager. Under leadership that invested nearly $2 million, the course has added a new fleet of golf carts and maintenance equipment and installed a new irrigation system to the South course. All the lodge rooms were renovated, along with the restaurants. Zeke’s Greenside Tavern seats 160 and is open 10 hours a day, seven days a week, with live entertainment on a patio that overlooks the course. Etowah Valley is a premier spot for Western North Carolina fund-raising tournaments. The annual Pro-Am benefits the Boys and Girls Club of Henderson County and has raised more than $300,000 over the past 20 years. The Asheville Tourists Children’s Fund, a charity that buys shoes for children in neighboring Buncombe County, holds its tournament at Etowah, as does the WNC Sports Awards Banquet tourney, which raises funds for its scholarship program. “We’re very proud of where we started from, evolving from a brickyard to a 27-hole facility,” Merrick said. For more info: Etowah Valley.com, call 828-891-7022.